Whey protein ready to drink. Whey Refresh by R.Nutrition is a refreshing drink with a high protein content from whey, that is ready to be taken anytime and anywhere. What are the properties of Whey Refresh? A bottle of Whey Refresh provides the body with a dose of 30 grams of whey protein, the source with the highest biological value, and a high content of BCAA's and glutamine. Taking whey protein after physical activity produces great benefits in promoting muscle recovery. Does not need any preparation, unlike conventional whey protein shakes, so you will not need to worry about preparing the mixes or having water available. This format makes it very convenient to carry in your backpack to the gym and take it just before training. Or even when we go on a trip, journey or when we are going to spend long periods out of home. It can also be taken at any time of the day and thus provide our body with an optimal dose of protein to meet the daily requirements of this nutrient. The fat and carbohydrate content is virtually zero, making it an ideal product for athletes in the muscle cutting phase or people looking to reduce the fat and carbohydrate content of their diet. It is a natural product that has not used artificial colorants, flavorings or sweeteners. Who can benefit from Whey Refresh? Anyone wishing to increase their dietary consumption of proteins. 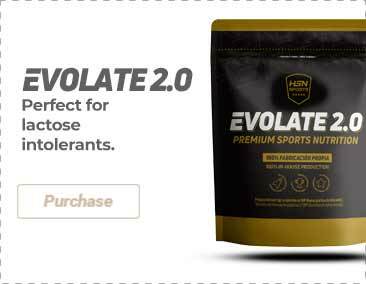 Ideal product for sportspeople looking to recover after their workout or to take protein between meals to maintain and develop muscle mass.